The flour product improver is a kind of food additive used to improve the processing quality of dough, and the common colloids are listed as follows. 1). Sodium Carboxy Methyl Cellulose can be used in the production of bread to make honeycombs of bread homogeneous, increase the volume and reduce dreg phenomenon. It can make bread not collapse and also has heat and freshness preservation functions. 2). Sodium Carboxy Methyl Cellulose is used in the production of instant noodles and rolled noodles to enhance tenacity of noodles, improve the noodle boiling fastness and to provide the flour products with fine and smooth taste. Meanwhile, in the production of instant noodles, the addition of sodium carboxy methyl cellulose can reduce the oil absorption while frying and indeed the oil absorption of noodles can be reduced by 1%-2%. Consequently, it can save oil consumption, reduce the production cost and improve economic performance. 3). It can improve water absorbability of dough and then the speed of preparing dough can thus be accelerated. 4). It can enhance water-retaining property as well as viscoelasticity of noodles. In quick-frozen noodles, adding sodium carboxy methyl cellulose can prevent food from deformation in appearance as well as breakage and can extend the storage life of food. Guar gum is an efficient water-base thickening agent, with thickening, suspending, emulsifying, stabilizing, shape preserving and freshness retaining functions in one. It can replace agar, sodium alginate and pectin to improve the product quality and reduce the production cost because of high viscosity and small usage amount. Since the whole guar seed is edible and no chemical substance will be brought into the production of guar gum, it is different from other chemical thickening agents which contain chemical impurity difficult to be eliminated and then it is generally regarded as safe directly used as the food additive. 1). It has stabilizing function and can keep many systems stable such as oil, water and solids, as well as the viscosity and colloid. 2). It has the same water-holding capacity as Sodium Carboxy Methyl Cellulose. 3). It has viscidity increasing function to make noodles enhance viscosity. 4). It has the same function of reducing oil absorption as Sodium CarboxyMethylCellulose. 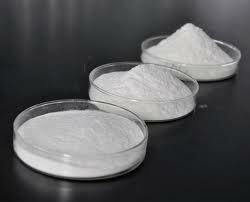 Xanthan gum is a polyhydroxy compound and has excellent hydrophilic capacity and water-retaining property. It can be used as the improver in the production of instant noodles to improve the processability of dough, reduce the oil content of products and improve the taste. The maximum usage amount is 5.Og／kg.